Bristol, a city of about 480,000 people, is located just 2.5 hours’ drive west of London in England’s south west region. 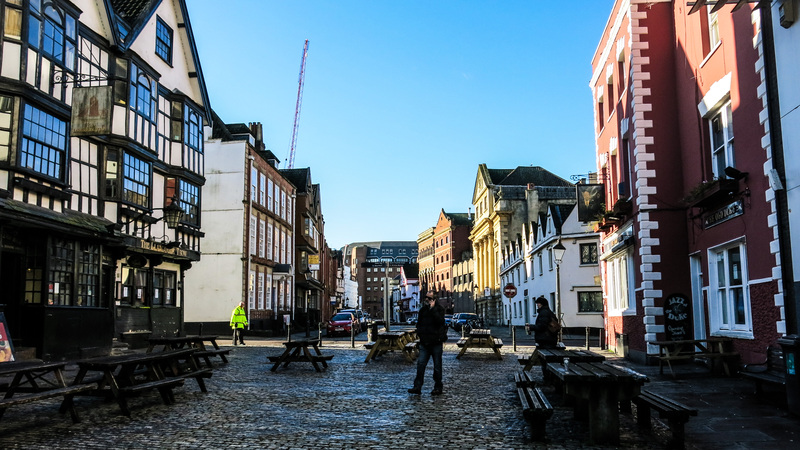 The city was originally built around the River Avon and prospered in its early days before its port moved from the city centre to the nearby Severn Estuary. Now, the city’s economy benefits from electronics, aerospace and creative media and the rejuvenated city centre docks thrive with bustling cafe’s and culture. Bristol is a city drenched in important history, being the starting point for many important voyages and the trading hub between England and Ireland, Iceland, Gascony and, eventually, across the Atlantic Ocean during the 15th century. The city was the gateway for plantation goods such as sugar, tobacco, run, rice and cotton, but also played a big part in the height of the slave trade in the 1700’s. Several buildings carry decoration related to the slave trade, and streets and public houses also bear witness to the trade. Bristol was also heavily involved with the abolition of slave trading in the early 1800s. As a major seaport, Bristol has a long history with trading commodities and is known for nautical connections. As a result, it also had its own stock exchange, banks and market in which deals were struck over bronze trading tables, known as “The Nails”. Pirates such as Black Beard are known to have come from Bristol, and are said to have drunk at old pubs such as the Hatchet. 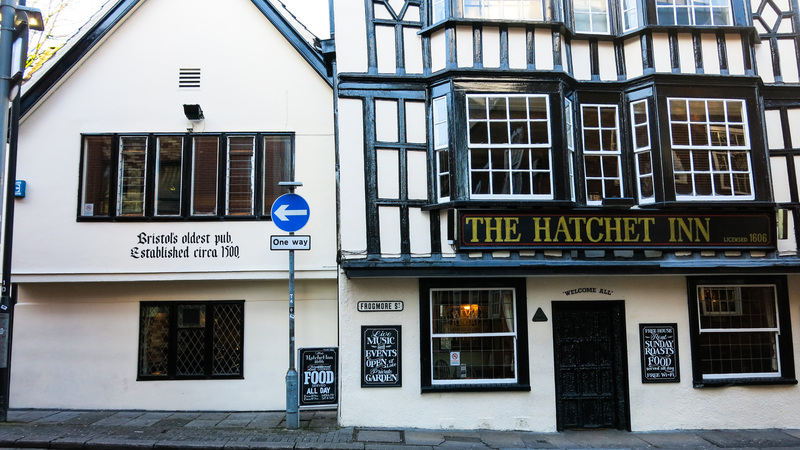 There are a number of famous pubs and establishments sprinkled throughout the city known for their part in Bristol`s rich history. Street art is everywhere. Bristol is said to be the birth place of controversial local graffiti artist, Banksy, who`s are is now recognised throughout the world. Ships, docks and pirate haunts. Bristol played and extremely important role in sea trade for hundreds of years. As a result you will notice statues dedicated to captains who started their voyages from here, incredible ships lining what is left of the relatively small harbour and the restored ss Great Britain, which now rests in the original dry dock in which she was built, and it open to the public as one of Bristol`s major visitor attractions. Large bronze “nails” outside the Exchange on Corn Street once stood in the Tolzey Walk, where the city`s merchants used to conduct business – allegedly the origin of the saying “pay on the nail”. The large clock on the Exchange shows an extra hand for “Bristol Time”. Bristol Time (black minute hand) was ten minutes behind Greenwich Mean Time (red minute hand, or London Time) until Bristol officially adopted GMT for railway timetabling in September 1852. 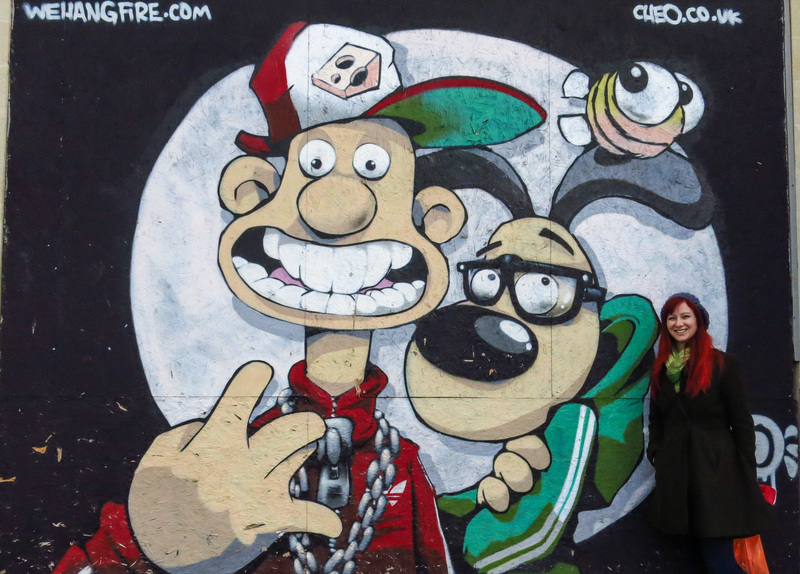 If street art and graffiti interest you, Bristol is the place to be. The city walls change almost weekly with new pieces that are born from a creative culture and modern view of art. 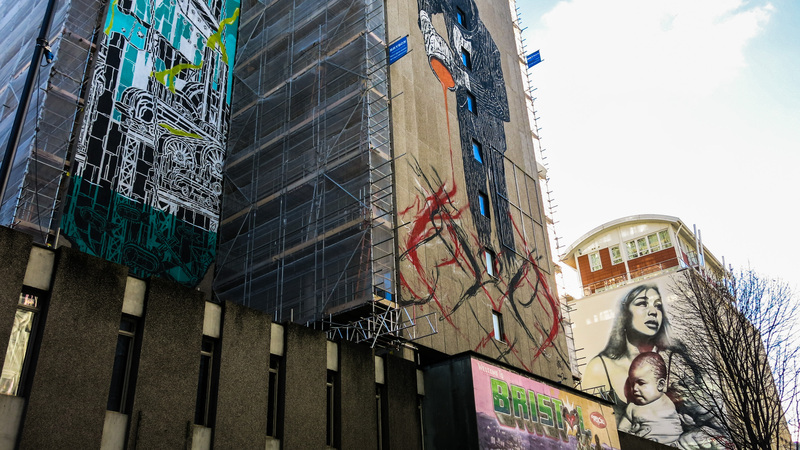 Bristol is home to more than 100 street artists and graffiti writers, including the world-famous Inky and Banksy. Bristol is a great location for a pub crawl, if not to absorb this history then simply to try the delicious range of craft beers and hundreds of local ciders that are on offer. There are a many cute pubs and cafes in Clifton Village, at the top of the hill, near Bristol’s famous Clifton Suspension Bridge. Try The Mall, The Coronation Tap and The Brunel. The world famous bridge, designed by Isambard Kingdom Brunel in 1831 and completed in 1864 after his death, spans the Avon Gorge and the River Avon, linking Clifton in Bristol to Leigh Woods. 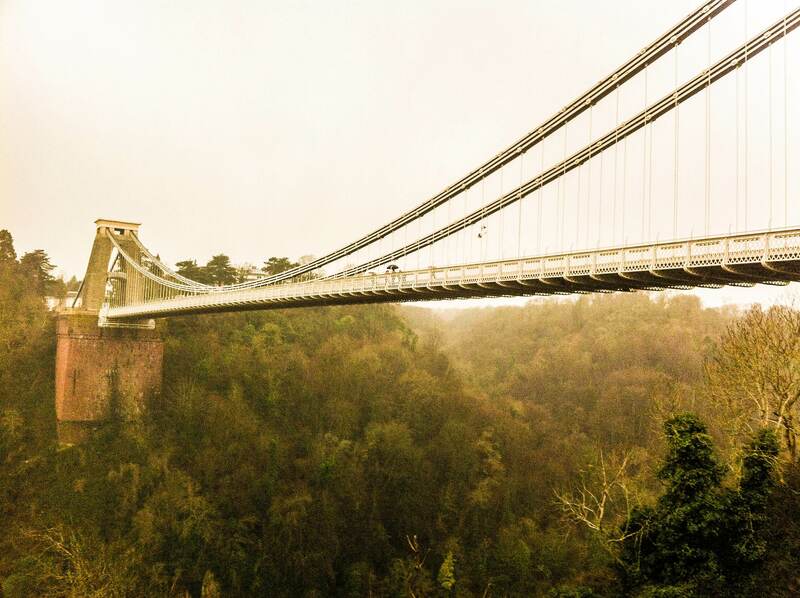 Now an iconic symbol of Bristol, it draws thousands of visitors a year who stroll below it, along Hotwell Road, or stroll across it at 75 meters above the high tide mark. The ss Great Britain, the world’s first great ocean liner has been restored as a museum right in the heart of Bristol. This 3,679 tonne steam ship was designed by Isambard Kingdom Brunel for transatlantic service between Bristol and New York. It was launched 19 July 1843 and the longest passenger ship in the world from 1845 to 1854. She was also used to carry thousands of immigrants to Australia before 1880 and was rescued from the Falkland Islands in 1970 where she had been used as a warehouse, quarantine ship and coal hulk. The M Shed is a 19502 transit shed situated on the historic Harbourside. It has been reopened as an innovative museum that explores the city’s history from prehistoric times to the 21st century. 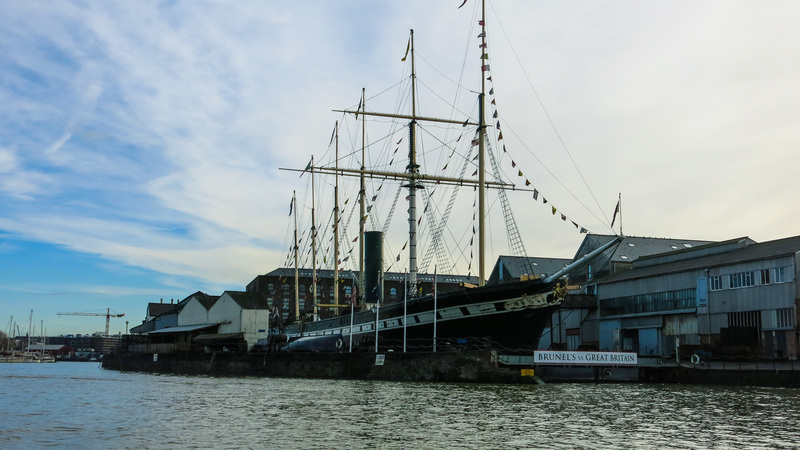 With working exhibits on the harbourside including steamboats, trains and cranes and a rich collection of objects and art, Bristol’s history really comes to life. The Matthew is a reconstructed replica of the boat used by John Cabot when he discovered Newfoundland in 1497. It was built in Bristol to mark the 500th anniversary of Cabot’s voyage. When not moored in Bristol Harbour outside Bristol’s M Shed, the sails are unfurled and the ship ventures around the British Isles and Northern Europe. 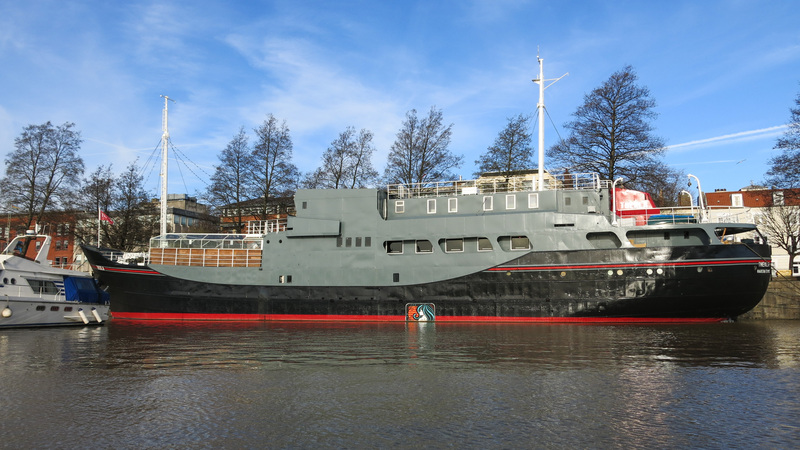 You can go onboard the ship while it is in the harbour and you can join a 45 minute trip around Bristol harbour or a three to four hour trip down the Avon and under the Clifton Suspension Bridge. Bristol is made for walking. You can get to almost any historical site or tourist attraction by foot within 40 minutes from the city centre. The city is quite flat, but there is a bit of a hill as you head west into the Clifton Village area. There are plenty of public bus routes in Bristol that can help you get around. There is also Bristol’s FreeBus which offers free transport in a bid to reduce excessive car use. Bristol Temple Meads railway station has direct services available from London, Scotland, Wales, Manchester and Birmingham. National Express, MegaBus and First Group are a few of the many bus companies that offer transport in and out of Bristol. The M4 and M5 motorways meet at an interchange just north of the city and link Bristol with London (M4 eastbound), Swansea (M4 westbound across the Estuary of the River Severn), Exeter(M5 southbound) and Birmingham (M5 northbound). Bristol’s large international airport hosts budget and first-class carriers which fly to more than 100 different countries. Summer (June – August): Summer can be gloriously sunny, dry and warm(ish) in Bristol, with average lows of 12°C and highs of 21°C. Record highs in summer have reached 33.5°C (91°F). Spring/Autumn: Average lows of 4°C and highs of 18°C. Spring can be unsettled and changeable. Winter (December – February): Autumn and winter are the wettest seasons, with more rainfall in January than any other month. Cold spells through winter can bring frost and snow can fall from November through to April. Average lows of 3°C and highs of 7°C. 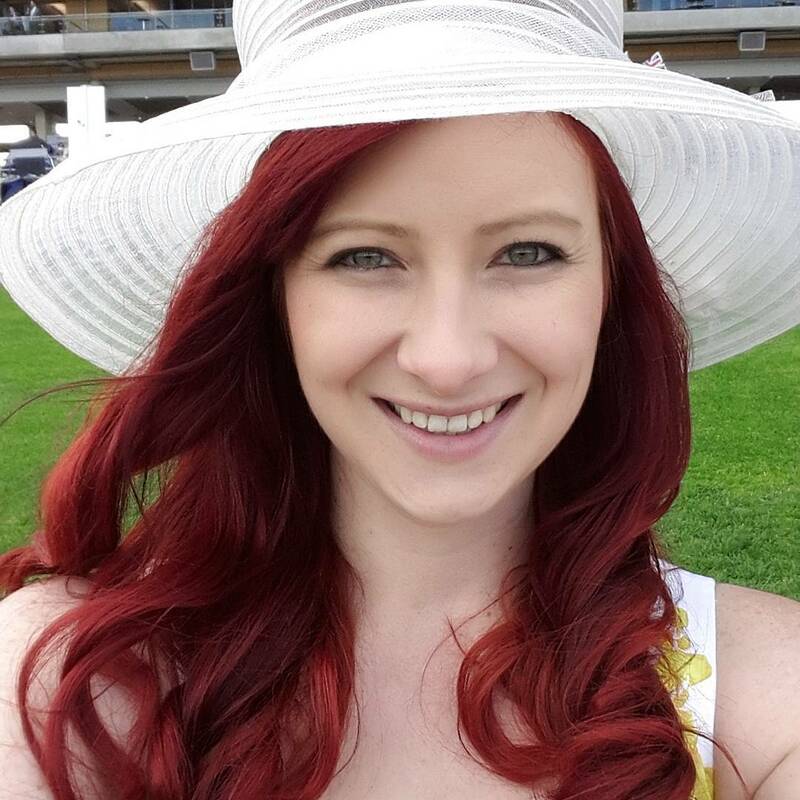 Zascha, you definitely have to visit Bristol. It is one of my favourites! You can do it in a day, but I recommend you stay the night if you want to check out the awesome pubs.